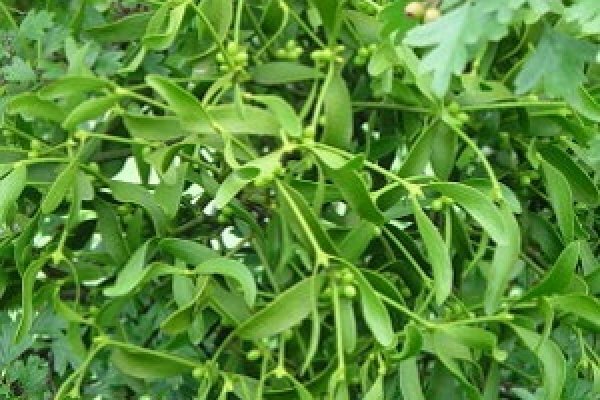 Mistletoe Herb - Viscum album. 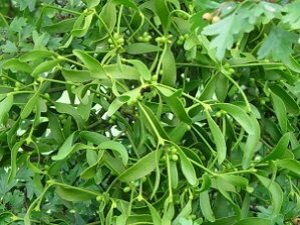 Mistletoe is an evergreen parasitic vine that grows attached to and within the branches of a host tree. There are several species, with the European species held in highest regard by herbalists.